Your clients trust you with their pets' health and with their lives. You are trusted with the health and well-being of your patients and your compounding pharmacy is an extension of that trust. So when you prescribe a compounded medication, it’s critical that you have confidence in the skill, resources and expertise of the pharmacy you choose. 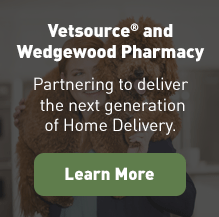 More than 30,000 prescribers and their patients turn to Wedgewood Pharmacy for their compounded medications. Wedgewood Pharmacy has earned the Pharmacy Compounding Accreditation Board’s (PCAB®) Seal of Accreditation. Formed by eight of the nations’ leading pharmacy associations, PCAB promotes, develops and maintains principles, policies and standards for improving the quality of pharmacy compounding nationwide. Are you committed to compliance with the USP <795> and USP <797> guidelines for non-sterile and sterile compounding? To achieve sterility, do you filter (0.2 micron) in an ISO Class 5 laminar air-flow hood contained in an ISO Class 7 clean room? Is the air quality in your sterile-compounding lab engineered for HEPA filtration to minimize particulates? When filtration is not appropriate, do you terminally sterilize via autoclave or gamma irradiation to achieve sterility? Do you perform post-filtration filter integrity testing? Do you obtain Certificates of Analyses for all pharmaceutical ingredients? Do you purchase pharmaceutical-grade chemicals (USP, NF equivalent) from FDA-registered suppliers? Do you have systems in place for handling complaints, adverse events, and, if necessary, issuing a recall? Do you have a dedicated quality department that monitors, logs, and tracks all medication testing? Do you maintain both master formulas and lot-specific batch records for all compounds? Can you immediately trace a prescription back to the original batch record and the source of the ingredients? Do you have a sterile environmental-monitoring program in place to help ensure aseptic conditions? Do you have an independent, third-party lab perform sterility analysis on every batch of sterile compounds? Do you have an independent, third-party lab perform endotoxin analysis on every batch of sterile compounded injections? Do you conduct monthly lab tests of air and surface samples in your clean room and other controlled environments? Do you obtain independent, routine certifications of your clean rooms and laminar airflow hoods? Do you perform quality-control testing of finished compounds through weight, volume, and yield checks? Do you perform pH testing on injections, ophthalmic preparations, and other compounds? Do you conduct media fill, surface, fingertip, and volumetric air sample testing? Are all sterile medications quarantined until testing is completed? 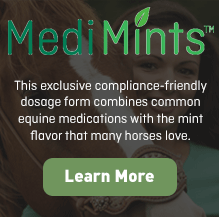 Does the quality-compliance team review testing results and release the medication? Do you perform identification testing on Active Pharmaceutical Ingredients? 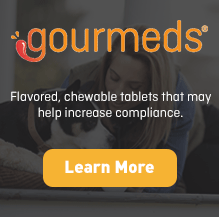 Do you perform routine audits of your vendors to ensure compliance with FDA regulations? Is your staff properly trained and evaluated in aseptic manipulation skills, gowning technique, and clean-room use? Are all pharmacy compounding technicians evaluated twice annually for proficiency in compounding multiple dosage forms, including potency testing of the resulting compounded preparations? Do all aseptic pharmacists and technicians complete a 40-hour course on aseptic compounding?